Zipping through Jamaica Bay, you suddenly stop, unable to catch your breath. It's a sunset overlooking New York City. Your breath has been taken. 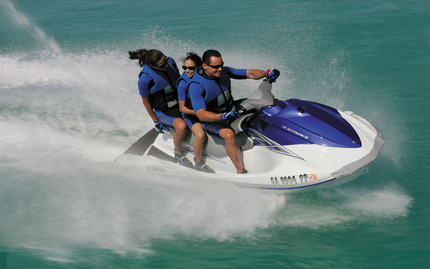 That's what Rockaway Jet Ski offers. Take in a journey and perspective of NYC unseen by many others. 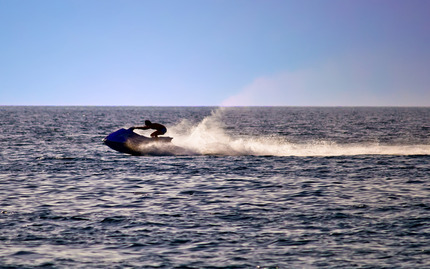 On this one-of-a-kind jet ski tour, you'll experience planes gliding above you as they land and take off from JFK Airport, bask in the marshy wildlife, and marvel at NYC from afar. Once you catch your breath and return to shore, you'll enjoy an authentic Thai dinner, complete with live music and cocktails. How can an evening get any better? 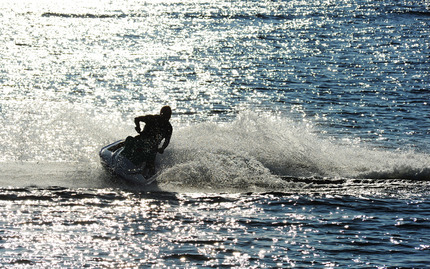 Note: Operators must be in good shape, and comfortable on the water for an extended period of time. This is a jewel in Rockaway!!!! We were iver booked but they worked it out for us..